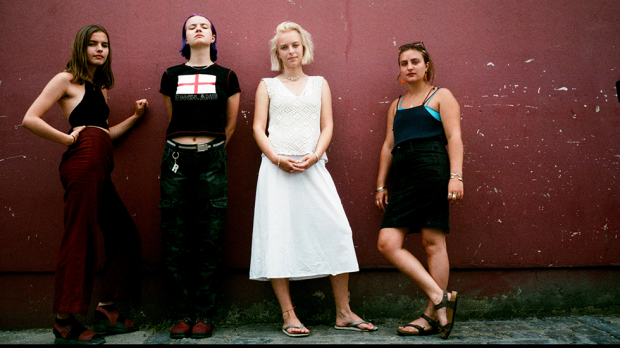 They’re a relatively unheard of, all-female, indie rock four-piece but Goat Girl’s no frills, subtle and streamlined sound has quickly gained attention in their South London homeland. Think Nirvana’s mellow acoustic sound from their MTV Live and Unplugged album with Courtney Barnett style vocals thrown in. They’re feisty and soaked with teen angst, but it’s all fused into a mellow sound. Latest tune Scream, released initally as a B-side to recent single Cracker Drool, is a groovy and seductive track that manages to hit all the right spots. It’s loud and angsty but it’s morphed into a sound that makes for really easy listening. Scream kicks off with a majestic guitar intro that lures you in straight away. From there you’re caught in a trance as you absorb their gentle riffs and mid-tone vocals. The instruments are prominent yet subtle in the beat they lay down with vocals just floating above them. They don’t waste much time with vocals, and forget about a chorus, but what’s there is more than enough. The uptempo intro and midsection will have you moving to the catchy beat before it seamlessly morphs into more downtempo parts, with mystical, hypnotic, riffs that draw your eyes closed as you gracefully float away, or melt into your chair. It’s a simple song that feels good to listen to and will kick any worries of the day right off you mind. Really looking forward to hearing more from this band into the future.